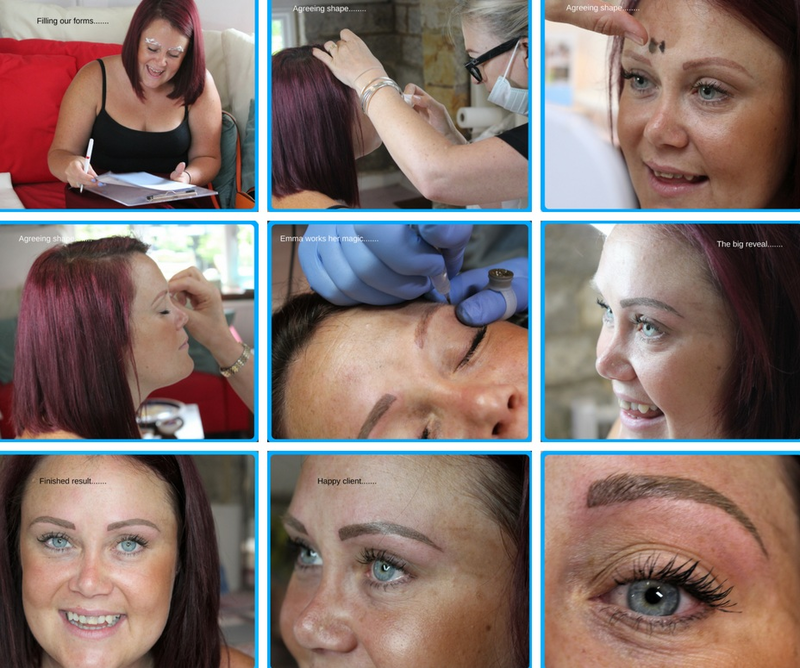 Semi Permanent Makeup is the art of implanting pigment into the dermal layer of the skin. Unlike traditional tattooists who work with ink, we are implanting pigment made of iron oxides, iron being the most stable and common of all the elements, it is non-toxic, inert, innocuous and non-active, much like mineral make-up. This pigment then fades or is absorbed by the body over the course of years, which is why we refer to these procedures as “semi” permanent makeup. Most treatments require a “top-up” or colour boost after 12/18 months. Every procedure begins with client consultation forms, we go through your expectation for the procedure and your medical history. Eyebrow procedures normally take about 1.5 hours. Most of that time is spent measuring and plotting where your brow should be. There are fixed measurements that apply to every face and once your brows begin, arch and end where they are “supposed” to your face will look lifted and open. We spend most of the appointment drawing and agreeing the shape for your new eyebrow. The actual tattoo only takes around 20 minutes. We use numbing creams for all the procedures, there is no pain, in fact sometimes clients fall asleep! The eyeliner procedure is slightly more straight forward because we are following the contour of your eyelid.We take time discussing the look you want to achieve and then apply numbing creams. Emma works very gently over your eyelid, holding your eye closed in a gentle stretch, there is no pain and no drama! The lips procedure takes the longest simply because there is more to tattoo. Whether you are looking to re-define the shape of your mouth or add colour to your whole lip. To find out more about the procedures and to see how nice we are, contact Melanie for a chat.